Scroll down to find your #guiltfreepoutine. 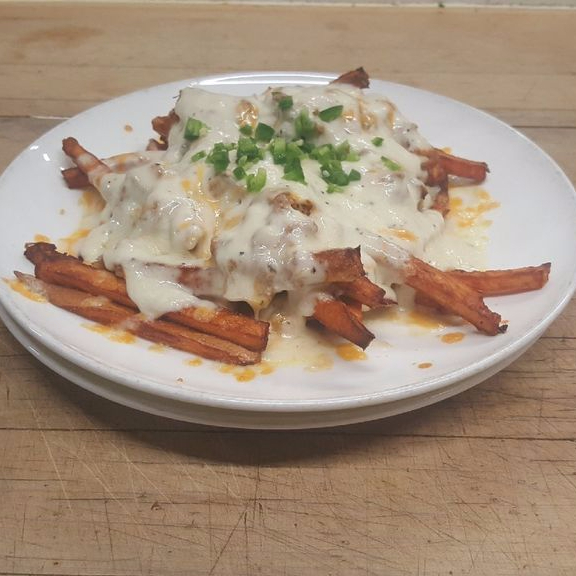 Braised Buffalo Wing Poutine (Yard & Flagon famous house-cut Kennebec potato fries, mozzarella cheese, turkey gravy, hot sauce braised pulled turkey, finished with a celery, carrot, blue cheese slaw, paired with a Stanley Park west coast lager. A drinkable beer with light hops). 2018 Poutine: Coconut curry poutine finished with fried seasoned battered cauliflower. – The Yard & Flagon’s famous Kennebec potato fries, cheese curds, vegetarian coconut curry sauce, seasoned battered cauliflower, finished with fresh cilantro and green onions. Pulled Duck Poutine (fries, poulet gravy, curds, Saskatoon berry reduction, garnished with orange sauce and leaf blend – $16). 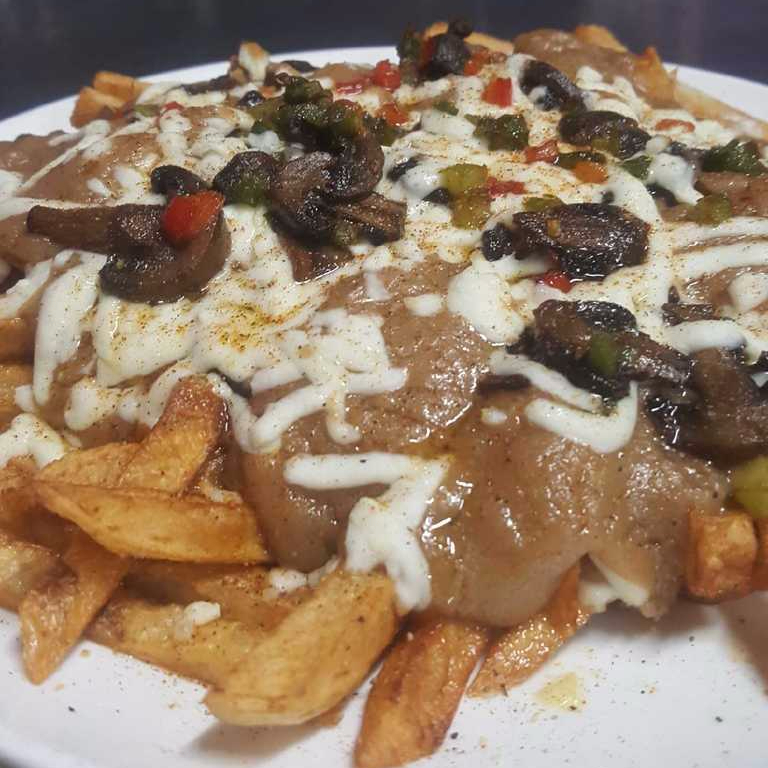 NOTE: Leopold’s is also offering their signature Poutine in their Rosewood location. Italiano (Italian sausage with banana peppers, topped with green onion, cheese curd, and gravy).